Today’s post is from #IFBC18 speaker, Stacy Brooks from Tangled Up in Food. Stacy will be sharing the importance of understanding FTC rules for bloggers and influencers at the 10th anniversary conference this month and she’ll share takeaways we can implement immediately! Join us in New Orleans to learn more! Register here. I’m honored to be speaking at the 2018 International Food Blogger Conference! It was the first blogging conference I attended back in 2014, and I’m looking forward to presenting about the FTC’s disclosure rules for bloggers. I’ve been blogging since 2011, and I also freelance as a food and travel journalist. 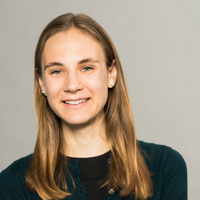 Before making the leap to writing full time, I worked in the legal field for several years as an intellectual property paralegal—I’m fluent in legal jargon and enjoy delving into government rules and regulations like the FTC’s disclosure guidelines. There are specific rules about what endorsers can and can’t say. Most importantly, you need to tell your readers that you have a relationship with a brand (a “disclosure”). The FTC has specific guidelines for how to do that, and in my presentation I’ll outline best practices and common mistakes. If you’re on Facebook, Instagram, Twitter, or another social media platform (and what blogger isn’t?) the FTC has guidelines for social media disclosures to your followers, which I’ll also discuss in my presentation. But why bother? It’s unlikely that the FTC is monitoring your food blog or Instagram feed. However, most contracts with brands and PR firms require that your posts include a disclosure in compliance with FTC guidelines—it’s up to you to be informed and make sure you’re meeting the terms of your contract. In addition, the FTC disclosure rules ensure an even playing field, and most importantly, they’re the law. I’m looking forward to sharing more information at my breakout session on Friday, August 24 at 2:15 pm. Whether you’re currently working with brands and destinations or would like to in the future, this session will fill you in on everything you need to know in order to follow the FTC’s guidelines. We’ll also work through some hands-on case studies so that you can practice what you’ve learned. Time to Live It Up #IFBC Style in New Orleans! There is no shortage of things to do, food to eat, beverages to drink or entertainment to enjoy in New Orleans. 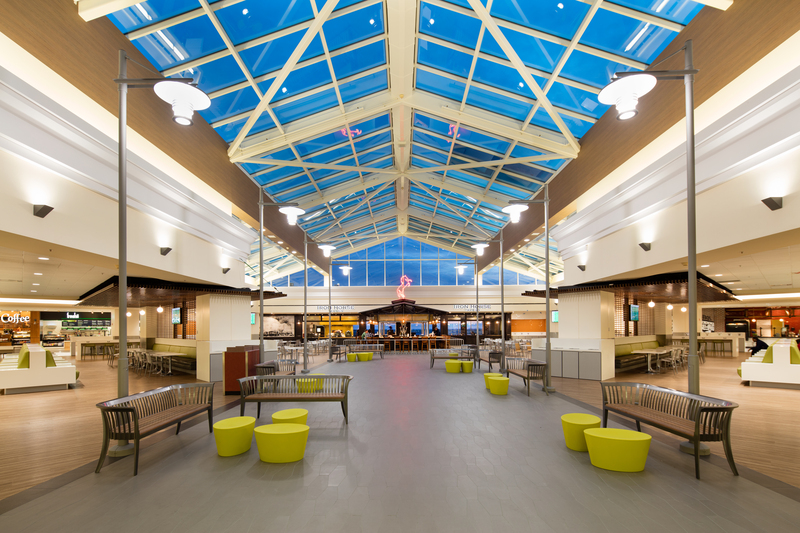 With more than 1,550 restaurants – from traditional New Orleans cuisine like red beans, gumbo and jambalaya, to creative fusions influenced by cultures from around the globe – there’s sure to be something that satisfies every palette. Start your day strong so you can keep your energy up to explore the city all day! 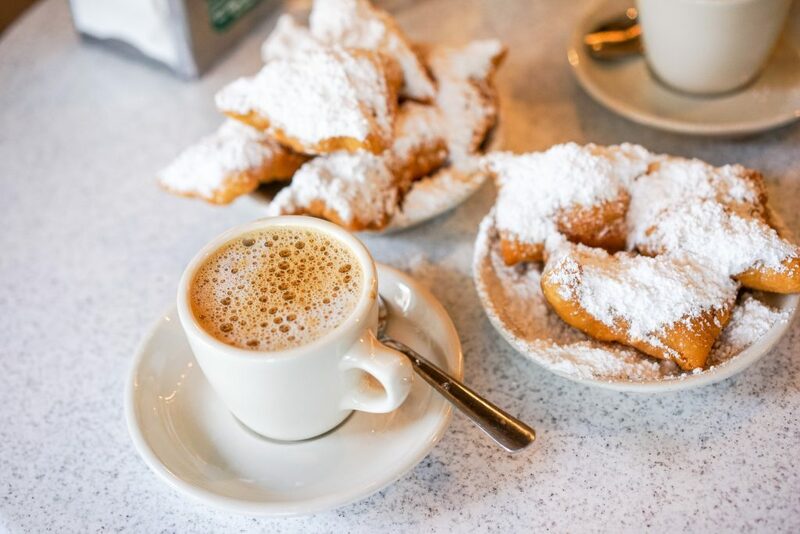 Try a classic New Orleans treat of café au lait and beignets at Café du Monde or Café Beignet. This sugar rush alongside the coffee with chicory will kickstart your day in a hurry. For those looking for a more traditional sit-down breakfast, local favorites include Mother’s, Ruby Slipper and Surrey’s. Breakfast at Brennan’s has been a New Orleans tradition for more than 70 years. Take your time and enjoy a leisurely, elegant meal with world-class service. 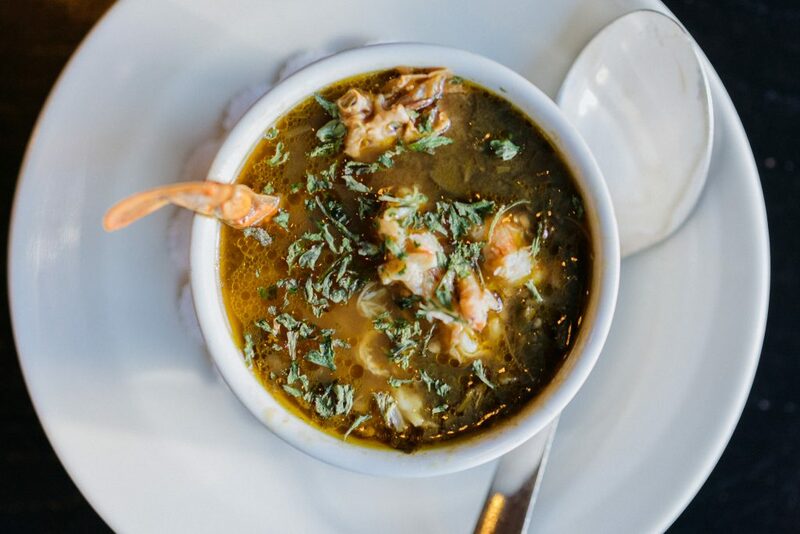 From Eggs Hussarde to Turtle soup, this New Orleans classic is considered the paramount French Quarter Institution of morning meals. New Orleans has many distinct neighborhoods, unique districts and colorful streets to explore each with their own character and charm. The French Quarter is the most well-known with its iconic architecture and historic prominence. 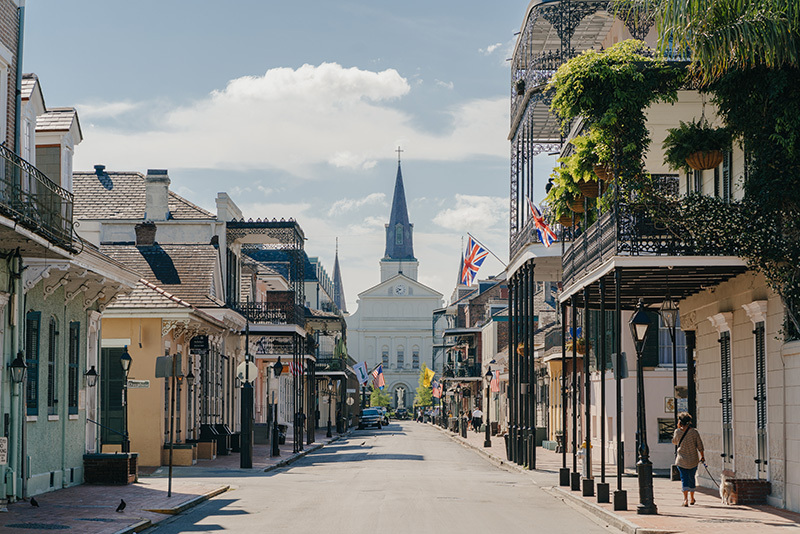 Take a walk down Royal Street to peruse boutiques, art galleries and antique shops, walk along the river for a breathtaking view or take-in a show at one of the numerous jazz clubs and music halls. While the French Quarter is the historic heart of the city, New Orleans spans far beyond the 78 square blocks of the city’s oldest neighborhood. 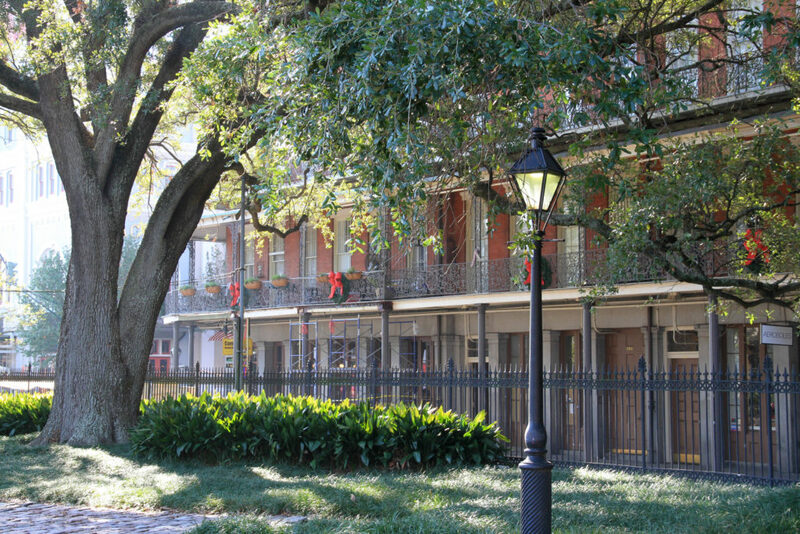 Head over to the Tremé neighborhood for an authentic, soulful and historic experience. Not only is the Tremé neighborhood the star of its own TV series, it is the oldest African-American neighborhoods in the country and has been home to musicians and artists as far back as the 18th century. Learn about the traditions and history of Mardi Gras Indians, jazz funerals and more at The Backstreet Cultural Museum, or visit Congo Square in Louis Armstrong Park where jazz music was born. Ride the St. Charles Avenue Streetcar – the oldest continuously operating streetcar in the world – to get a great view of the oak-lined streets of Uptown and the Garden District. Hop-off the streetcar in the Garden District and do some shopping in local boutiques along Magazine Street. Or, catch the Canal Streetcar through MidCity and make your way to City Park. All you’ll need is a dollar and a quarter. Rumbling down the ”neutral ground” for more than 150 years, the streetcar symbolizes the charm and romance of New Orleans. 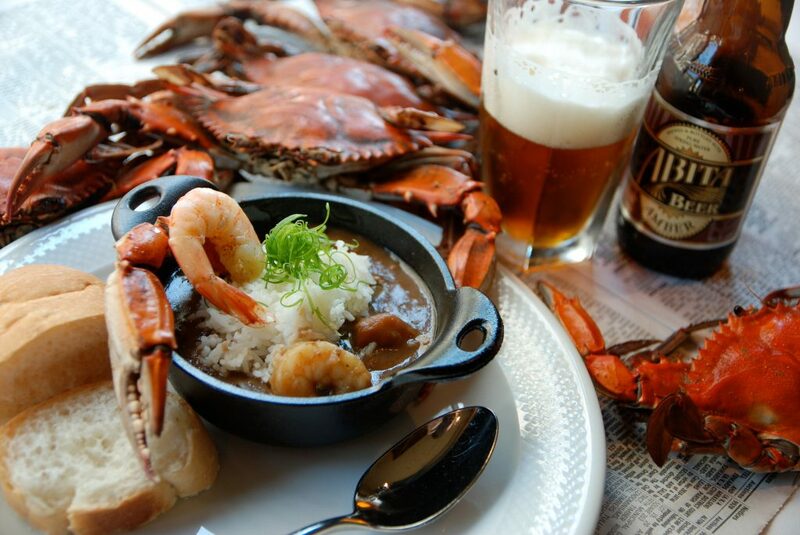 Po-boys, gumbo and jambalaya are some of the most iconic traditional New Orleans dishes – and everyone has their own style. 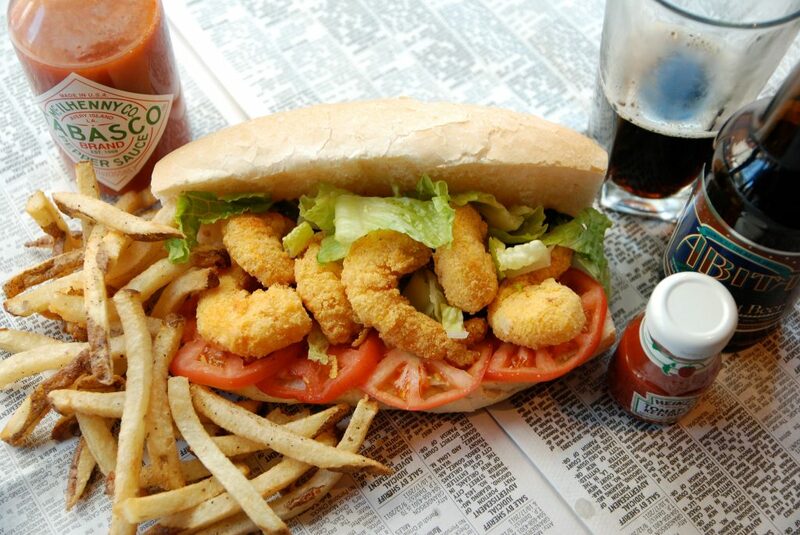 Do you like your po-boy dressed? Seafood or sausage gumbo? Maybe your mamma had a killer jambalaya recipe that’s been passed down through the family. Another classic dish invented in New Orleans is the muffaletta. 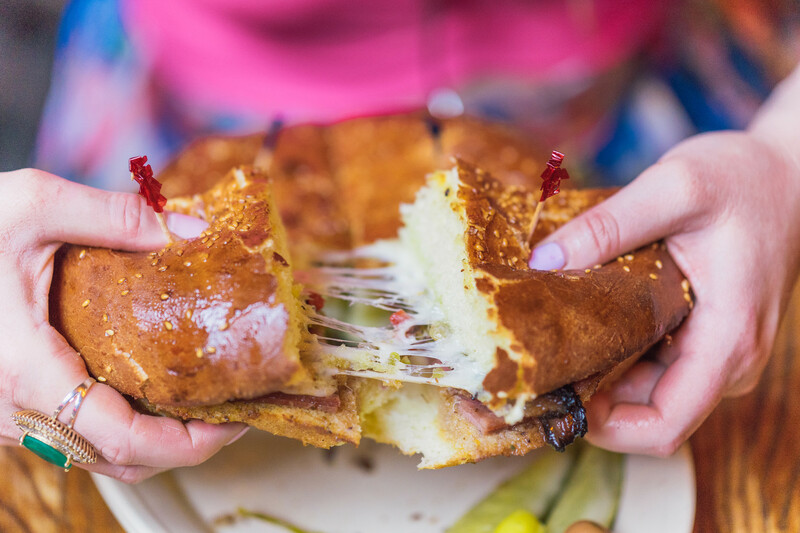 While the original can be found at Central Grocery, others have taken their own spin on the Italian sandwich like Cochon Butcher, Napoleon House and Verti Marte. For a truly unique experience that may bring back memories of bologna sandwiches from your childhood, visit Turkey and the Wolf. This eclectic, casual restaurant has been named a Best New Restaurant by Eater and named among Food & Wine’s Restaurants of the Year. From a $5 poboy to a lavish four-course dining experience, your options are endless. After lunch, dive deeper into the history and mystery of one of America’s most historic cities. New Orleans celebrate its tricentennial, or 300th birthday, this year and that means these streets have more than a few stories to tell. Visit “cities of the dead” and learn about New Orleans’ traditions for burying our loved ones. If you’re a true believer or a staunch skeptic, there’s no denying New Orleans has a spooky side. Join a haunted tour to hear the stories of restless spirits that roam the town. If you’re ready to get outside of the city, try a swamp tour or visit plantation country. Only in New Orleans do you have a variety of options if you’re looking for a restaurant that has been open for a century. Antoine’s, Arnaud’s, Tujaque’s and Galatoire’s all boast 100+ years of experience and continue to serve world-class cuisine daily. Newcomers on the scene are serving up so many great options, too. Check out Maypop, Saba or Paloma Café for globally-influenced cuisine from incredible local chefs. After dinner, grab a treat at Sucre, or satisfy your sweet tooth with a cocktail. Our rockstar mixologists will concoct the perfect beverage to satisfy any craving – and in New Orleans, you can take that drink in a “go-cup” as you soak up the evening air. Treat all of your senses and take in a show on Frenchmen Street, pop in to an intimate jazz club or find a rip-roaring good time learning Cajun dancing. Whatever you choose, listen to the sounds of the city and let the music inspire your journey. While you may not find King Cake on the menu outside of Mardi Gras season, you can take this recipe home and make your own! This round cake is similar to a large cinnamon roll mixed with coffee cake and is traditionally topped with sweet icing plus yellow, green and purple sugar. 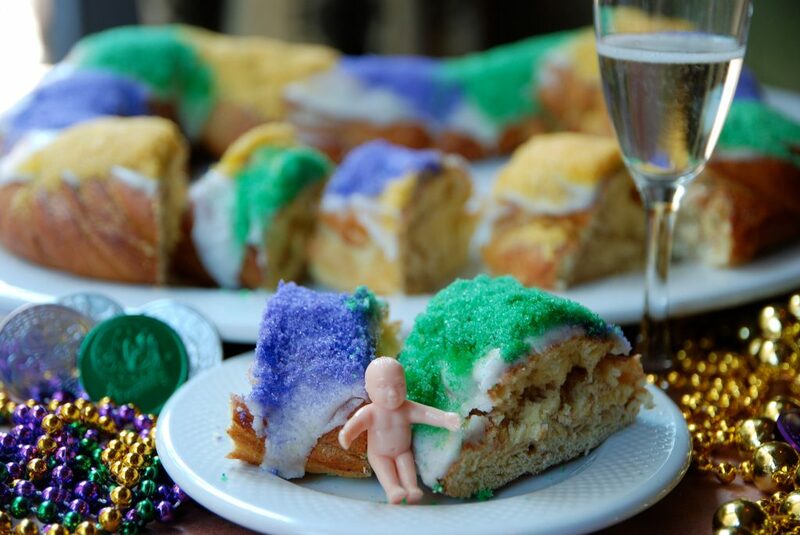 If you get the slice with the plastic baby, prepare to bring king cake for the next group gathering. Still looking for more “foodie-friendly” suggestions? Check out our foodie itinerary and follow your taste buds around the city. 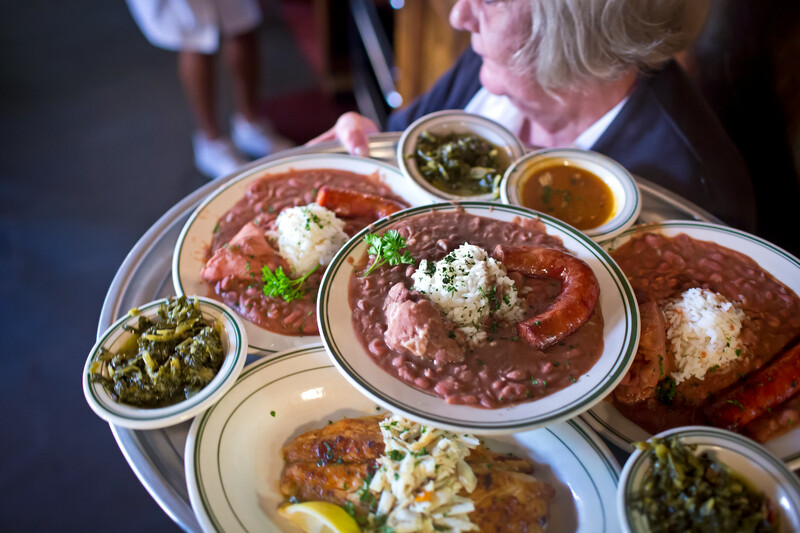 And when you get back home and miss the mouth-watering flavors of New Orleans fare, learn how to cook iconic New Orleans dishes and the history behind their creation. When you come to New Orleans, the spirit of hospitality, collaboration and creativity will be your muse. With so much to explore, there is never a dull moment in the Crescent City. Visit NewOrleans.com to get started planning your trip and laissez les bon temps rouler – let the good times roll! This post is brought to you by our host and sponsor, Visit New Orleans. Join us for the 10th anniversary of the IFBC in New Orleans next month. Register here. Happy New Year! The International Food Blogger Conference is now only a short seven months away and it’s a celebratory kind of year. The IFBC turns 10 this year (which is what in blogging years?!) 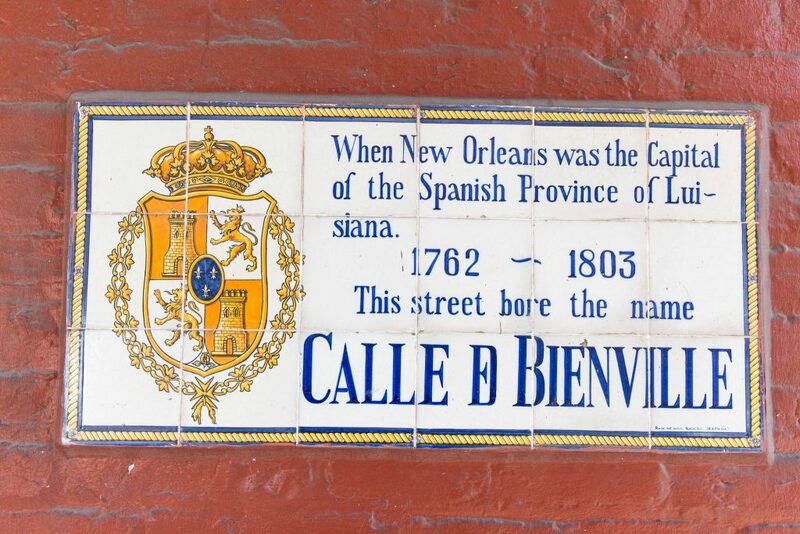 and we’ll be celebrating in the vibrant city of New Orleans, now in its tricentennial year. Where better to spend such milestones than the Big Easy! So what do we have planned for this anniversary event? You can definitely expect fabulous food, music, drinks, good friends and entertainment, but we are also planning many exciting sessions for #IFBC18. New to the IFBC this year will be the food & beverage workshops, book fair, lunch assemblies, lightening talks and a brand-to-influencer session. We’re also looking forward to outstanding content from bloggers and industry professionals that will help us to make the most out of our blogs and our blogging adventures. And finally, in an exciting new feature here on the IFBC website, make sure to check out our Attendees page where you’ll find the list of currently registered attendees as well as a special attendee blogger feature. We’ll update this page regularly with a Q&A featuring one of your fellow #IFBC18 attendees. Make sure to say hi to them at the conference this year! Hello IFBC fans! We have a few updates and reminders as we move toward the New Year. First, we would like to welcome and introduce the 2018 IFBC Advisory Board. Last year, we implemented the Advisory Board for the first time and they have proven to be instrumental to our planning efforts. This talented group of food bloggers and experts advises us on content, speakers, excursions, and keeps us on top of trends in food blogging and social media. This year we are welcoming Elise Bauer, Catherine Enfield, Toni Dash, Tim Gast, Doug Levy, Wendi Spraker and Julia Stambules to the IFBC. You can read all about this awesome team on our Advisory Board page. We also want to say a big congratulations to Kaylen of Flavorful Eats. Kaylen, a first time attendee of IFBC in 2017, is the winner of the Visit Sacramento trip for two back to the Golden State and Farm-to-Fork capitol. Congratulations Kaylen and thank you to our awesome hosts, Visit Sacramento! 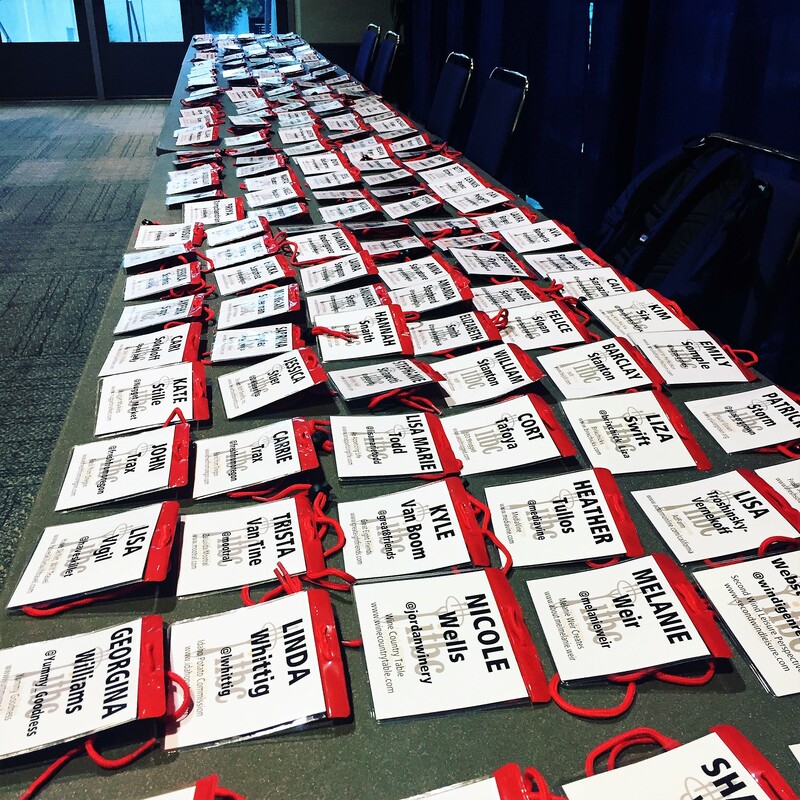 Also, a big thank you to everyone who shared posts from our 9th annual IFBC in Sacramento this past September. You can read them all here! And finally, we want to remind our IFBC Alumni that the deadline for big savings on IFBC 2018 in New Orleans is fast approaching. Use your exclusive alumni discount to register by 12/31/2017 and save. Please check your email for the discount code, or contact us with any questions. Cheers to you all this holiday season! May your holidays be full of delicious memories and we hope to see you all in New Orleans in 2018! Register today. We are extremely excited to return to New Orleans for the 2018 International Food Blogger Conference, the 10th year of the conference. The conference will take place at the Royal Sonesta hotel from August 24 – 26. Registration is open now. We held the IFBC in New Orleans back in 2011 and that event was the highest scoring IFBC ever, in ratings from attendees. 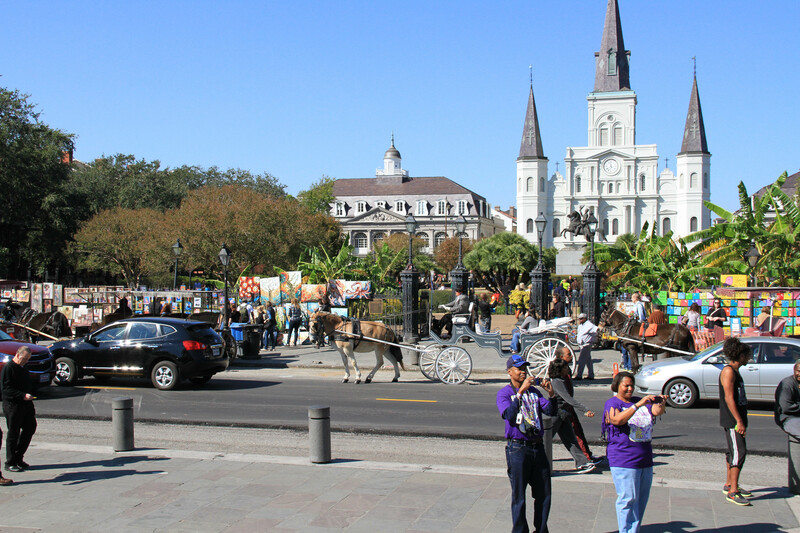 The content and speakers rated highly and attendees loved being right in the French Quarter, a short walk from Bourbon Street. But what really grabbed everyone’s attention was the amazing food. We had full buffets of delicious Cajun, seafood, and other regional specialties. In fact, 95% of attendees that year who expressed an opinion said the food at the IFBC was better than other food blogger conferences they had attended. Outstanding regional cuisine, once again. 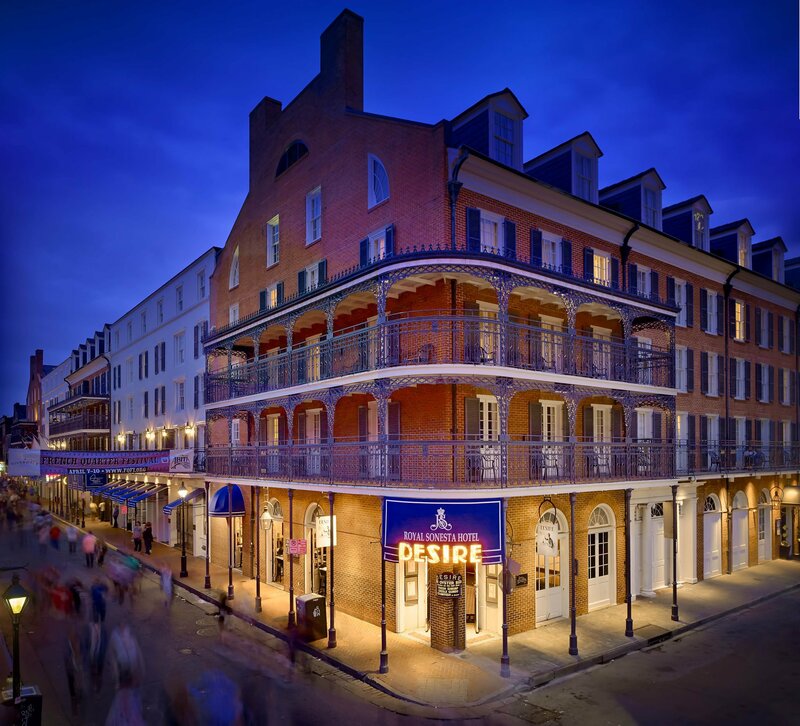 The AAA Four Diamond-rated Royal Sonesta New Orleans, located right in the French quarter and with a recent refurbishment and great rates of $169 per room. We love the Royal Sonesta for its location, its original architecture, and for the welcome they are eager to show food bloggers. New events including a series of five-minute Lightning Talks on Friday evening from your fellow attendees and a B2I (Business to Influencer) networking session. A switch back to our classic Friday evening through Sunday noon schedule. Prices for the conference are $295 for “Citizen” Bloggers/Influencers and $495 for Corporate attendees. Registration is open now.